Thinking about delicious crickets or contemplating suicide? 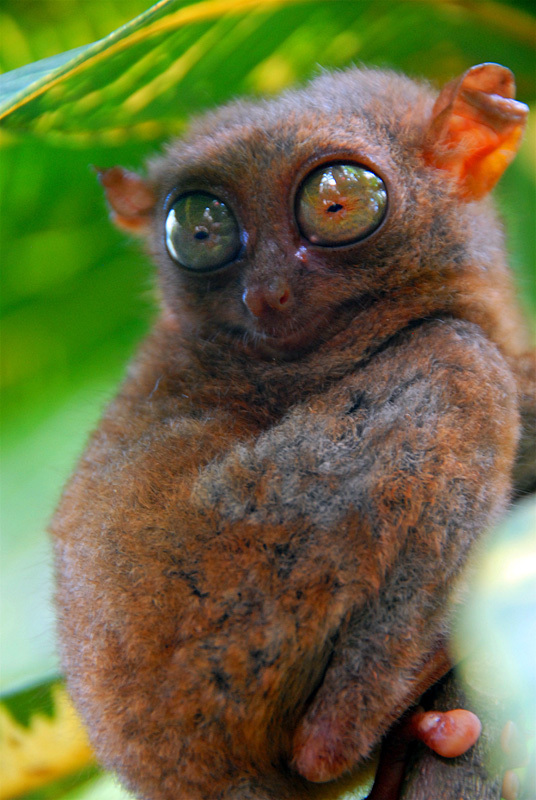 This creepy cutie is the Tarsier. Want to take one home and pet it? Too bad for you. It would rather kill itself. Tarsiers have never been successful in captivity: when caged, they often injure and even commit suicide due to stress. Head-bashing against a hard surface is the preferred method. Other than that, these nocturnal mammals populate the islands of southeast asia and feast on insects after stunning em’ with their long middle fingers. The third finger is so long, it’s the same length and its forearm. Even creepier, their eyes are fixed in their skulls so they can only look straight ahead. Good thing they can turn their necks 180 degrees. 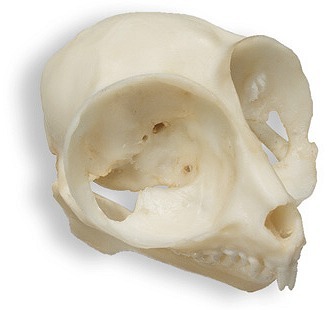 Eye sockets or eye pockets? Debatable. Many thanks to dear reader Sarah, who brought this darling little creep to our attention. Thanks guys- this is definitely the greatest animal ever.